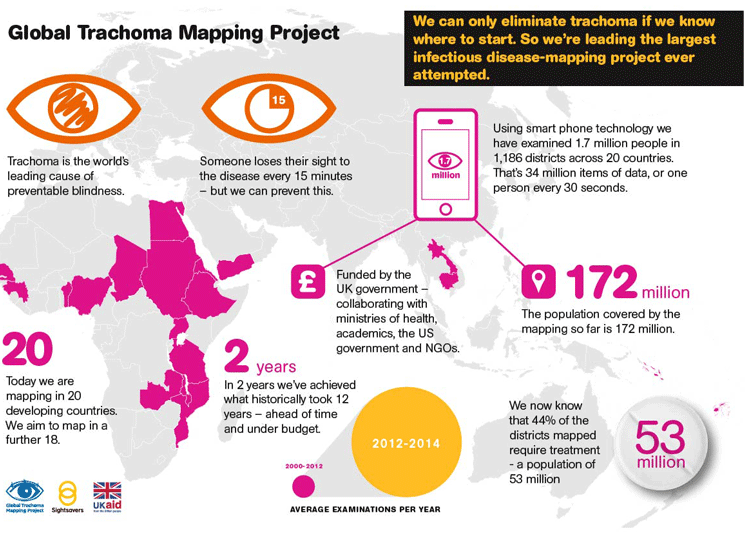 The Global Trachoma Mapping Project (GTMP) is the largest disease-mapping project ever undertaken. 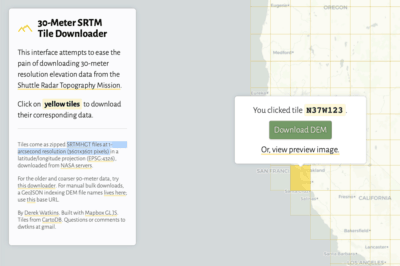 In an attempt to eliminate the disease by 2020, the mapping effort seeks to distribute locational data to governments and aid agencies. Trachoma is the world’s leading cause of infectious blindness and is treatable with eye ointment. Poor hygiene and a lack of clean water sources are some of the conditions that promote the spread of this and other infections. According to the World Health Organization (WHO) there are about 8 million people with irreversible blindness caused by Trachoma and another 84 million active cases of the disease that can be prevented by treatment. 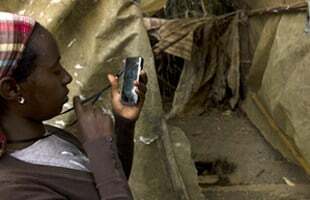 Health worker using a smartphone to transmit trachoma survey data in Oromia Region, Ethiopia. Survey teams also capture data on availability of water, sanitation and hygiene facilities for each household. Image: ©Dominic Nahr/Magnum/Sightsavers, 2013.
processed more than 28 million data items through smartphones, involving more than 700 trained field workers. 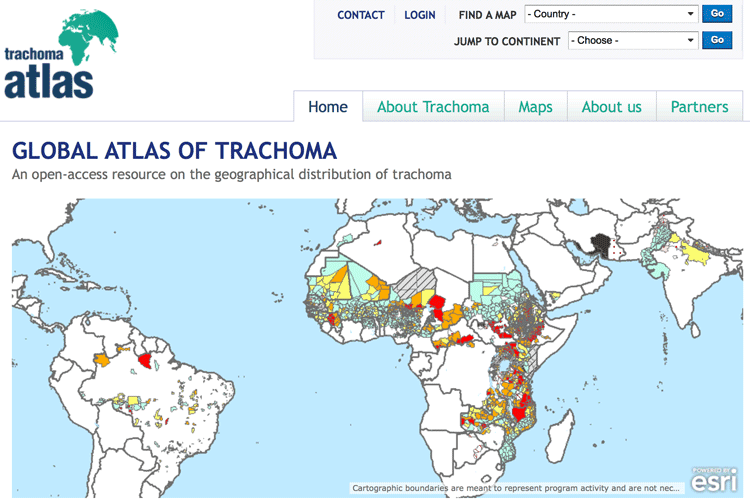 Where possible, the data is collected via smartphones and uploaded to the Global Atlas of Trachoma which provides open access to the geographical distribution of the disease. Mapping is collected via an app on Android phones which was built using the LINKS System, an open source collection of tools aimed towards mobile and cloud based data collection in the public health field. 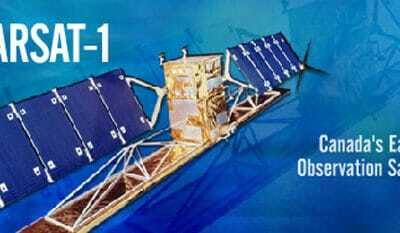 Additional data is collected via paper-based field reports. The consolidated data is then use by medical groups to target treatment areas. 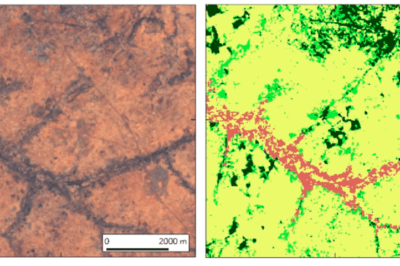 How Bendy are the World's Roads?